fourth mixtape by American rapper Lil Uzi Vert. It was released on July 31, 2016 by Atlantic Records and Generation Now. The album features productions from Cubeatz, Don Cannon, DP Beats, Ike Beatz, Lyle LeDuff, Maaly Raw, Nard and B, Metro Boomin, XL Eagle and Zaytoven. 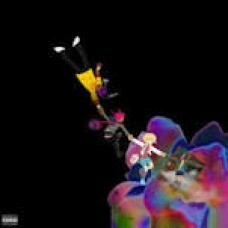 The mixtape is considered a spiritual successor to Lil Uzi Vert vs. The World as it retains subtle references to the mixtape, as well as the graphic novel series Scott Pilgrim, on it's cover art. The cover art was created by Eryck Sakutaro. The first letters of the titles of all ten tracks on the mixtape, when arranged in order, spell the word Doomsayers". The song "Do What I Want" has been featured in the soundtrack for the video game NBA 2K18."